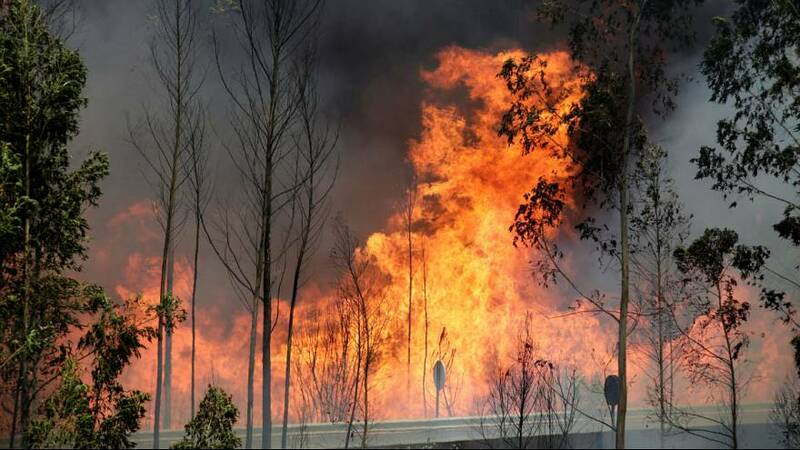 Global warming was a factor in a deadly wildfire that hit central Portugal and left more than 60 people dead, it’s been claimed. Thomas Curt, a researcher at the National Research Institute of Science and Technology for Environment and Agriculture, said climate change had extended the wildfire season from two to up to five months. Curt said on top of climate change Portugal had an ‘enormous amount of combustible vegetation’ such as pine forests and eucalyptus trees. “In addition, the entire Iberian peninsula, including Portugal, is currently facing a particular meteorological situation. It is much hotter and much drier than usual in June. “As a further aggravating factor, the Iberian Peninsula is experiencing global warming more severely than other regions. Curt also said there was a growing trend of large, covering 100 hectares, and ‘mega’ wildfires, affecting more than 1,000 hectares. “It is really a growing problem all over the world and especially in Mediterranean Europe,” he added. “They are still rare, accounting for only 2-3 percent of the fires, but are responsible for three-quarters of the burned areas.